The entry arrangements for the apartment were emailed to me in advance and very thorough. The apartment itself was pleasantly spacious and well-appointed. Convenient for Sainsbury's etc in Swan Centre next door. Apartment excellent, except for some aspects of the level of cleanliness. What had been cleaned was done well. WiFi speed excellent. A lot of space and kitchen facility. Very caring host. Very good location and very clean. Excellent location, quiet, great transport links, huge apartment. Well appointed with all the appliances available. The location is excellent. Nicely decorated and tastefully furnished. Parking a bonus. Very secure and quiet. Good facilities, excellent communication, and ideal location for exploring the area.Nice toiletries provided, fab shower and quiet. Convenient and quiet. Comfortable and very convenient for my trip. We haven't tried a serviced apartment before but we weren't disappointed! Compared to a hotel room for the same price, our immediate impression was the amount of space available to stretch out, watch TV and relax just as we would at home! Obviously self-catering if you wish to cook but there is plenty of choice in the town to eat out (only a few minutes walk). Door codes were communicated when expected via e-mail/text and we had no problems accessing the property. Only 20 miles/32km from Gatwick Airport and 45 minutes out of London by train so a good stopover location for a few days if you have plans to travel further afield (we stayed three nights to catch up on sleep and do a day's sightseeing combined with a West End show). 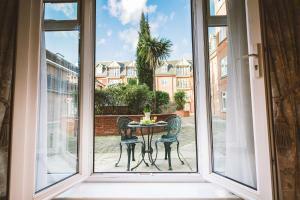 Lock in a great price for Jade - Royal Swan Quarter - rated 9.4 by recent guests. The 2 bedroom apartments offer private bathrooms with bath and en suite shower rooms. There is also a dishwasher, oven and a kettle. Guests can relax in the communal courtyard. London is 16.8 miles from Jade - Royal Swan Quarter. London Gatwick Airport is 11.8 miles away. 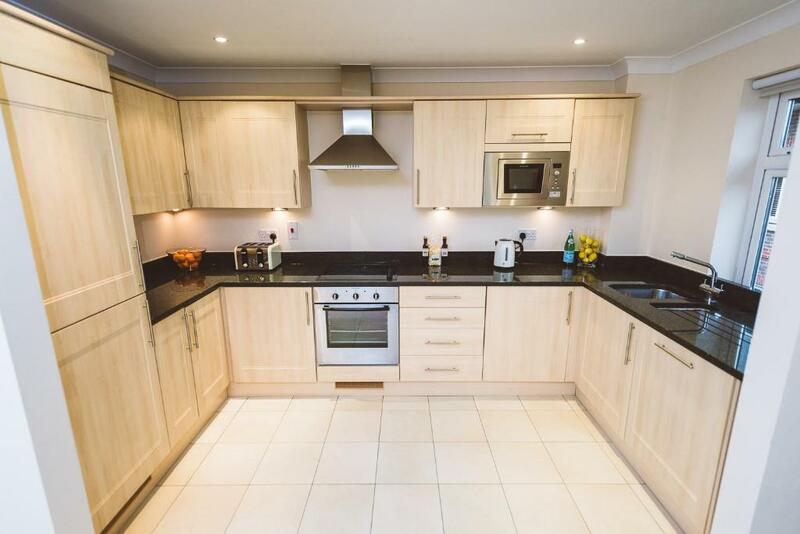 This property also has one of the best-rated locations in Leatherhead! Guests are happier about it compared to other properties in the area. 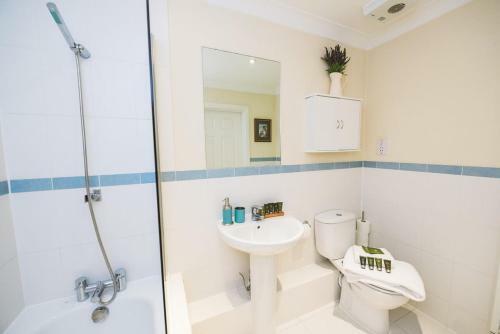 This property is also rated for the best value in Leatherhead! Guests are getting more for their money when compared to other properties in this city. Jade - Royal Swan Quarter has been welcoming Booking.com guests since 17 Nov 2017. When would you like to stay at Jade - Royal Swan Quarter? This apartment contains 2 bedrooms and 2 bathrooms. It features patio doors that lead to a courtyard. This apartment features a fully equipped separate kitchen and a living area. It contains 2 bedrooms and 2 bathrooms and features patio doors that lead to a courtyard. This apartment features 2 bedrooms and 2 bathrooms. Guests will find a living area that overlooks a landscaped courtyard. 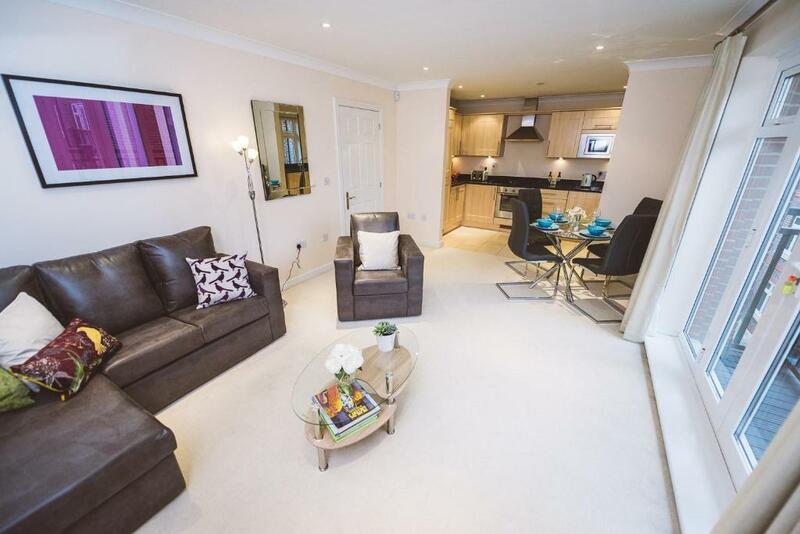 Our "Jade" serviced apartments are in the very heart of Leatherhead close to numerous restaurants, cafes, bars and shops. The station, with its direct trains to London Victoria and Waterloo, is a 10 minute stroll away. Our apartments have 2 bedrooms and 2 bathrooms with underfloor heating. The beds are Superking or King with 2 singles. There is a fully equipped kitchen with washer/dryer, dishwasher and microwave. Relax with Netflix HD entertainment, or Freeview HD TV channels as well as fast wifi. 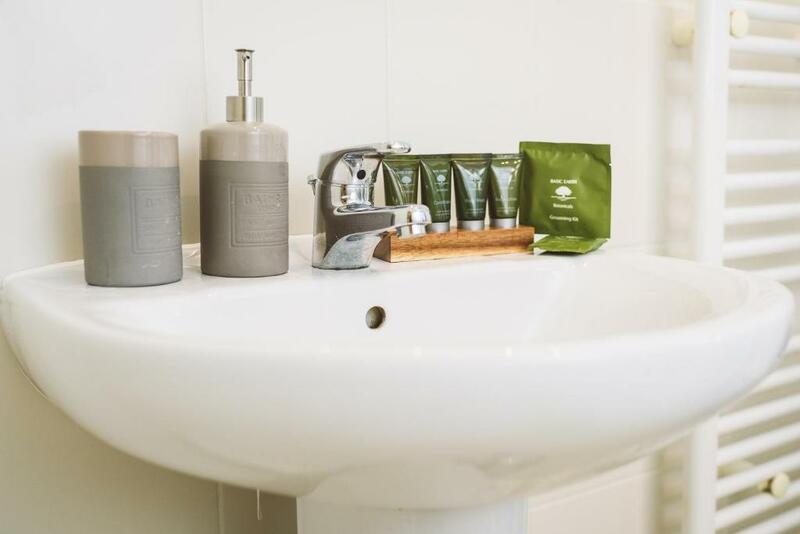 We provide a regular house keeping service with linen, towel change and a Welcome Pack of toiletries with tea/coffee and cookies as well as welcome booklet with property instructions. There is an Underground secure car park with lift to the apartment and CCTV. A Keyless lock with unique access code for each new guest gives peace of mind with minimal hassle. The ground floor apartments have direct access to a quiet communal landscaped courtyard and the upper floor apartment also has a garden view from the Juliette balcony. There is lift service and all units are wheelchair accessible. Your Home away from Home! Art of Rest Serviced Apartments have created your personal space for work, rest and play! Whether on business or travelling to enjoy the beautiful Surrey countryside and recreational activities, you will enjoy staying in our apartments which have been carefully laid out and equipped for travellers wanting all the comforts of home. 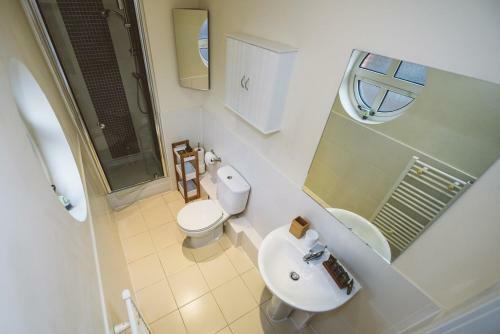 Enjoy the comfort of a bathroom for each bedroom so it is much more relaxed in the mornings. We have even provided a hairdryer for each bedroom. The Directors have travelled extensively and we made sure we included the little extras we personally appreciate like lots of soft toilet paper, extra extension sockets, plenty of clothes hangers, dish washer tablets and laundry detergent. We love having bedrooms together with a shared space to cook, eat and relax, Super fast wifi is also so important as well as a great choice of TV Channels. We hope you like our attention to detail. Each suite reflects a different style but they all are furnished to a high standard. Leatherhead is such an amazing town; it may be a relatively small historic town but it is surrounded by numerous business parks. 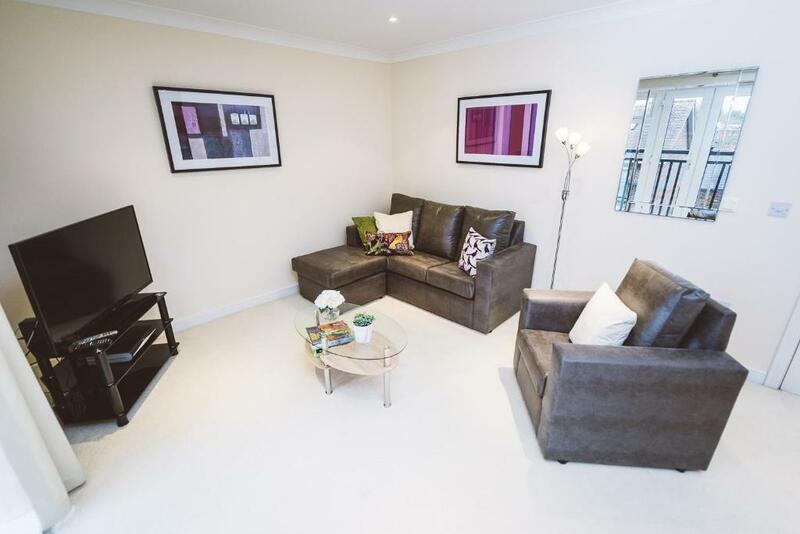 It is only a few minutes from the M25 so ideally located between Heathrow and Gatwick airports. Our apartments are right in the Centre of town and yet the courtyard is so tranquil. It is hard to believe where you are. Buses and train connections are excellent. The station, with its direct trains to London Victoria and Waterloo, is a 10 minute stroll away. Where can one stay within a 5 minute walk of Sainsburys, Waitrose and Lidl? The theatre is on your door step too and the High Street with loads of restaurants, cafes and bars. Enjoy a wealth of recreational pursuits in the surrounding areas - Epsom racecourse, Boxhill and Surrey Downs, Denbies wine estate, Painshill Park, stables and golf courses to name a few. Even though you will have a parking space most local amenities are a short walk away! 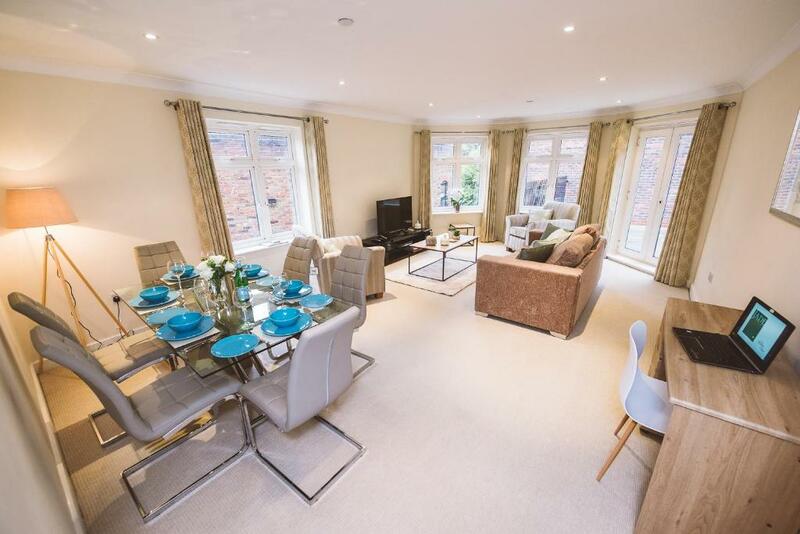 This is a wonderfully located development - Royal Swan Quarter! House rules Jade - Royal Swan Quarter takes special requests - add in the next step! Jade - Royal Swan Quarter accepts these cards and reserves the right to temporarily hold an amount prior to arrival. Please note that the lead guest has to be 25 years or older. Please inform Jade - Royal Swan Quarter in advance of your expected arrival time. You can use the Special Requests box when booking, or contact the property directly with the contact details provided in your confirmation. Good to have known about the security deposit and cleaning costs before booking. The bed was used by someone else, I have to take care of it. The shower faucet was broken, too hot or too cold. Not enough towe, I had to buy my one. Broken bath cabinet. The level of cleanliness. It looked as though the cleaner was interrupted during cleaning, the cleaners cupboard was left open and a pile of dirty laundry left in the bedroom wardrobe! What had been cleaned was done well. Noisy flush in one of the toilets. Pedestrian access to parking area did not function. Master bed was a little uncomfy, as it was two singles pushed together and very soft. The ensuite hadn't been cleaned properly, and there was soap and toothbrushes from the previous tenant still there, and the shower temp was stuck on hot. We ran out of hot water on the first day due to the kids overly long showers after the flight, and not realising the hot water tank was inaccessible in a locked cupboard. But the host was fairly responsive, and after the initial hiccups all was good. Nothing except I would have liked another soft pillow . The waste bins in the bathrooms had not been emptied following the previous occupants departure, also not convinced the bathrooms had been cleaned but cannot evidence that. It was a shame as I have stayed twice previously at Jade properties and they have been perfect.